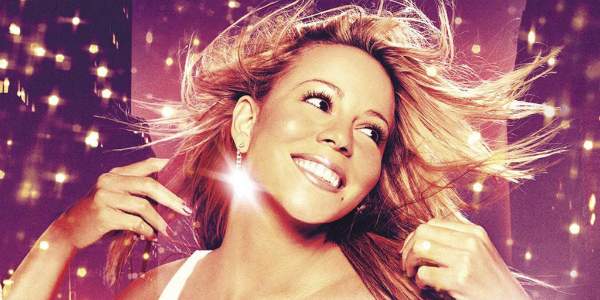 I shouldn't need to iterate this, given the current shape of online discourse surrounding “bad” movies, but Vondie Curtis Hall's musical “Glitter,” the 2001 feature film vehicle for pop sensation Mariah Carey, is, to this day, often considered one of the worst films of its decade. As of this writing, it boasts a 7% approval rating on Rotten Tomatoes, and it was nominated for five Golden Raspberry Awards, winning the award for Worst Actress. What's more, “Glitter” was a financial flop, having made only three-quarters of a million dollars on its opening weekend, finishing at 11th place. Additionally, “Glitter's” soundtrack record, which one would think would sell well even if the film was a stinker, also tanked, earning little money and no serious regard from the pop music community. It was a disaster all around. “Glitter's” low earnings gave off an impression that it was not merely bad, but that it was aggressively unwanted by the world. Given that the soundtrack was released on September 11th, 2001, and the film on the 21st, one can say that much of the failure of “Glitter” was based on how distracted the country was following the infamous incident at the World Trade Center. It was a bad film that was released on one of the more notorious acts of violence that America has seen, lending “Glitter” a weird mythic, cursed quality. Were “Glitter” released earlier in the year, it may have been drubbed, but it would have likely made some money, and then be largely forgotten by the public. Thanks to its bad timing, now the film has a reputation. No film exists in a vacuum. A common complaint leveled at critics is that we can sometimes be “too political” in our reviews (whatever that means), pointing out how a given feature film may reflect the outside world in a political or sociological sense. The plaintiffs feel, I assume, that films are divorced from the real world, and serve only as an escape to what is going on outside the theater. While films can be, and often are, wielded as escapism, it must be repeated that all art is political. All of it. Every single film is the result of the environment that allowed it to exist, so the underlying function cinema is to reflect and comment on the current state of the world. It's when that comment reaches theaters at an inopportune moment that problems arise. History has no regard for movie release dates, and the outside world can easily hobble a film's good intentions by instantly dating them, placing them squarely in the past. 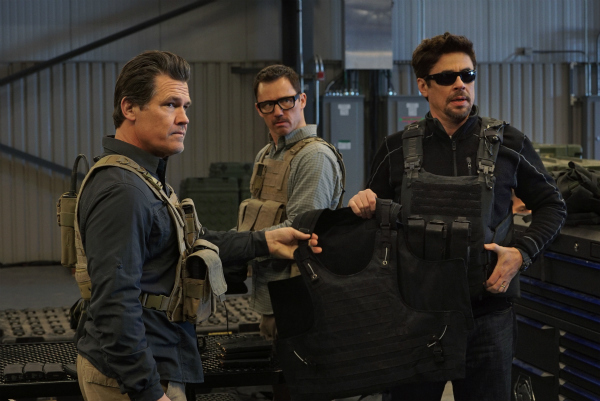 Released in late June of 2018, the sequel to “Sicario” was about a team of amoral and shadowy government agents who inserted themselves as key players into a gang war along the Mexican border. It was about mobsters, kidnapping, and enforcing border security in an extreme and violent fashion. Before June of 2018, the extremity of violence and its amoral stance on immigration may have had “Soldado” playing like a satirically dark warning; an exploration of a violent policy taken to its furthest and most outrageous end. But in June of 2018, the world got news of what the Trump administration was doing along the Mexican border; That is: Deliberately separating families and throwing kids into prison camps. What was actually happening made the events of “Soldado” seem instantly quaint and dated. A few films' potential successes were damaged by 9/11, one of which was this quite funny comedy from Barry Sonnenfeld, based on a novel by famed humorist Dave Barry. It was possessed of an all-star cast (Tim Allen, Rene Russo, Stanley Tucci, Omar Epps, Janeanne Garofalo, Patrick Warburton, Jason Lee, Ben Foster, Zooey Deschanel, Johnny Knoxville, Tom Sizemore, Denis Farina, Sofia Vergara, etc., etc., etc.) and sported a very clever farcical screenplay about kidnappings gone wrong, bungled assassinations, and wild coincidences. The plot surrounded a nuclear bomb the size of a suitcase that could be, and is, carried on an airplane. “Big Trouble” was shot in 2000 when airports were very different than they are today, and making jokes about lax airport security seemed like mere observational humor. Although scheduled for release on September 21st, 2001 (opposite “Glitter”), “Big Trouble “ was pushed back to the following April. But by then, the damage was done. The world still wasn't in the mood. “Big Trouble” bombed, so to speak, and only now patiently awaits rediscovery. In 2008, the U.S. was embroiled in several costly and lengthy overseas conflicts in the Middle East, and the nation's films reflected that. There were a lot of steely, realistic thrillers about the horrors of war and the visceral agony of torture (it's no wonder that horror films also frequently featured torture during this era). 2008 was also in the midst of a wave of nostalgia that we're still living through, seeing remakes and adaptations every week. 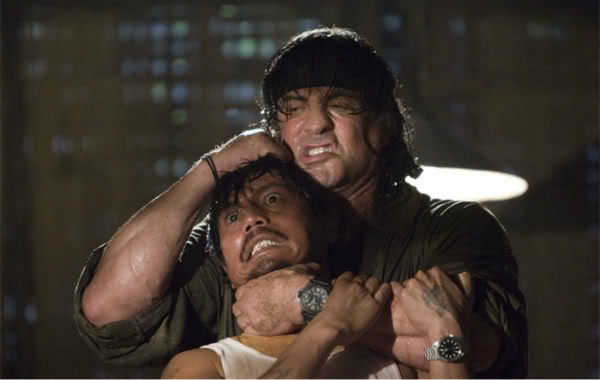 It was in 2008 that Sylvester Stallone elected to resurrect the long-dormant Rambo series. It made perfect sense. The first film in that series, “First Blood,” is a dark and depressive film about PTSD, and the way soldiers are trained to kill and then effectively discarded by the country. Why not apply that same damaging soldierly experience to the modern day, showing that the current war is doing the exact same thing to soldiers as the misguided conflict in Vietnam was a generation ago? Weirdly, “Rambo” decided to eschew its own topicality, and set its action in Burma. To be sure, there are atrocities in Burma worth exploring and bully to Stallone for bringing it to light. But the outside world seemed to change his mind on the obvious topic. It came out when people were too focused on other things to care. It's hard to think of an entertainment phenomenon so enclosed within its era than Jonathan Larson's Tony-winning musical “Rent” from 1996. Based on Puccini's “La Bohème,” “Rent” is a rock opera centered on the lives of 1989 New York Bohemians who live in poverty, and who are fighting to make ends meet with their filmmaking and music, determined to change the art world and raise awareness of AIDS (which at least four of the main characters are living with). The art scene as it was depicted in “Rent” only existed from the mid-1980s through the mid-1990s, and only pertained to the experience of Generation X. At the time of the show's run, if you were about 18 (which I was), “Rent” felt immediate and important and intense and, to this day, I cannot listen to “Seasons of Love” without misting over a little bit. In 2005, some dunderhead thought it would be a good idea to adapt “Rent” to film, a good five or six years after it was relevant. Director Chris Columbus (a bad choice) cast much of the original Broadway performers when they were clearly already too old for their roles. What's more, by 2005, Millennials began to have a stronger voice than Generation X, and they couldn't really understand a world wherein starving artists would sacrifice money over artistic integrity. For Generation X – some Millennials have observed – success was always a choice, and it could be sacrificed in honor of personal integrity. Millennials don't have that luxury, and will “sell out” at the first opportunity because, well, they need to pay the bills, dammit. Adam Rifkin and Penn Jillette recently (and just barely) released a zero-budget horror/satire they constructed back in 2014. The premise was that an average schlub (Jillette) paid for a bit part in a police thriller, but who eventually became obsessed the with film's lead (Missi Pyle) and who would kidnap her to film his own additional scenes, inflating his own role in the narrative. The film was constructed from self-shot footage from the Jillette character, and would also, curiously, feature an audio commentary track from said character. “Director's Cut” is a complex riff on low-budget filmmaking, featuring several layers of meta-narrative. In 2014, Red Letter Media, an online enclave of schlock-loving low-budget filmmakers, was enjoying a great amount of success making extensive commentaries on low budget genre films and, most notably, extended comedy “nitpick” videos about mainstream sci-fi movies like the “Star Wars” prequels and “Avatar.” Their videos were such a success, that the producers of “Director's Cut” were unable to find distribution. It was said that “Director's Cut” was too like “those 'Star Wars' videos,” and it was shelved for a few years as a result. Luckily, waiting didn't kill it. You can see this one and see if it's too much like Red Letter Media videos. Oliver Stone was once fiercely political, joyously attacking the media, war, yuppies, and the conservative establishment with open rancor. His 1987 film “Wall Street” remains one of the most damning portraits of yuppie culture this side of “American Psycho,” and it's still, to this day, pointed to as the primary example of gross Libertarian free-market greed. As Stone's career progressed, however, he matured and his bile cooled. He was still outraged by the state of the world, but his films became less openly wrathful. 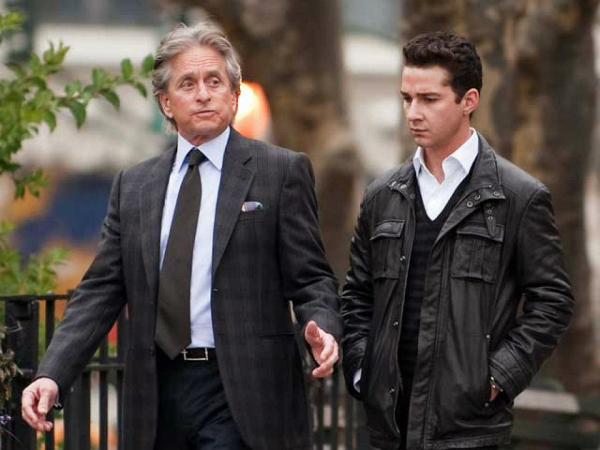 In 2010, in the midst of a widespread financial crisis, Stone elected to get on the era's nostalgia train with a sequel to “Wall Street.” At first glance, this seemed to be the timeliest film ever; why not revisit the callow yuppie generation whose self-aggrandizing and short-sighted money practices allowed the 2008 financial crisis to happen in the first place? Stone, however, was only revisiting Gordon Gekko for nostalgia's sake, and while the film does depict a new generation of yuppies, it contains no reference to the financial crisis. Had Stone made a sequel of this sort in the 1990s – when yuppies were on the outs – it may have played like a sad drama. In 2010, it felt useless and ignorant. What about SORCERER? The brilliant remake of THE WAGES OF FEAR that came out the same week as STAR WARS and sank like a stone. Good choice! And a brilliant film indeed.